Well we all know how busy the holidays get! Lots of party invites, family obligations and don’t forget all that Christmas shopping. Have you run out of time yet? One last – but critical element is the scene. Are you still scrambling for some last minute holiday decorating ideas? Don’t worry we have a few quick and modern ideas that will help to ensure your space looks festive while you have a holly jolly good time! Fill a glass vase full of ornaments or flocked sugar pine cones or how about cranberries or mini birch tree cuttings and a single candle? 2) How about a no fuss Christmas tree? Fill a floor vase with tall branches or twigs and leave au natural or hang a few ornaments of the ends? 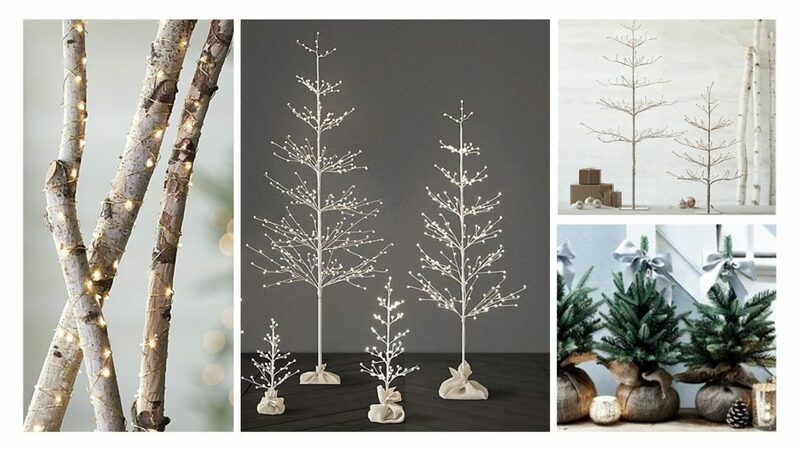 We love the simple minimalist birch LED trees like those found at Crate and Barrel or Restoration Hardware. You could cluster mini pine trees wrapped in burlap on a table or purchase a cute Charlie brown tree from your local florist. If you a modernist at heart, then why not go for a whimsical zig zag indoor or out “chrimsy warm light” tree. 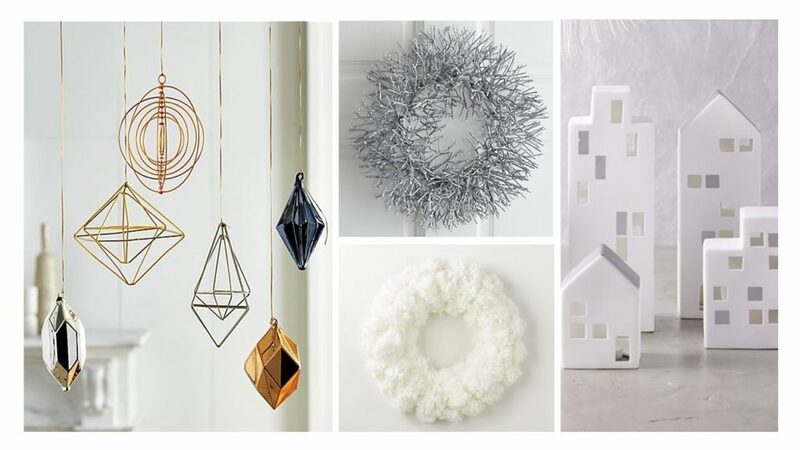 Go glam with the silver glitter wreath from crate & barrel. 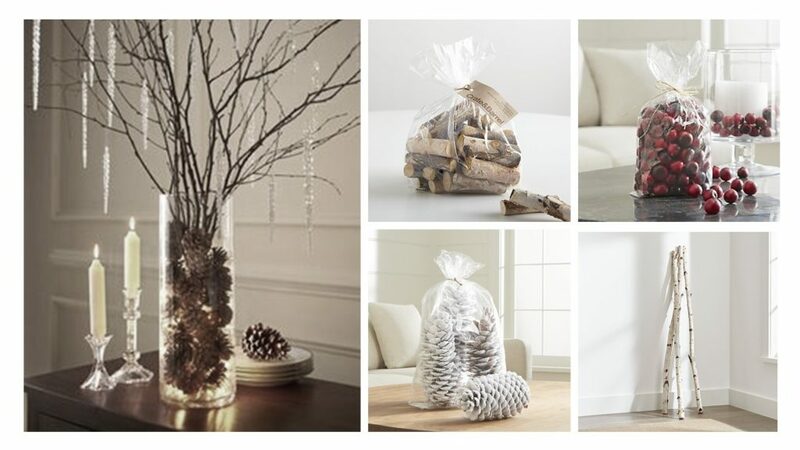 It makes a statement to any space and will create a sparkly focal for your winter wonderland. Or be a softy with the plush snowball wreath from CB2. Accessorize yours with twinkle lights or small pops of coloured ornaments to complete the look. CB2 offers this modern spin on ornaments. These copper and silver framed Christmas trees will add some shine to any mantle display. Or dazzle your company with these out of this world galactic copper ornaments. These kinetic sculptures will hypnotize you as they spin and twirl in suspension, hanging from the tree or simply provide a focal on any surface. Ever home needs a place to hang your stockings with care. Why not hang them with some style too? These metal weighted stocking hangers are one part functional and one part décor. Choose from a pair of antlers or a quaint little home which can be fitted with a candle to make your mantle merry. You can also choose to create a small village across your mantle with these porcelain cityscapes all from West elm. Want to add some life to the town? Complement your scene with silver reindeer from Crate & Barrel or acrylic polar bears from CB2. There’s nothing like a winter scene to make the season bright. You may be wondering how to top your tree after seeing the same old thing all the time. Dont worry we’ve got you covered – how about a starburst of light at the top? Sure to bring a unique look to any tree. Or how about a dance party around the tree?Why not try the disco ball tree topper for a little more fun? Too flashy? How about a simple silver rattan tree topper which adds a rustic yet classic look to your tree top. 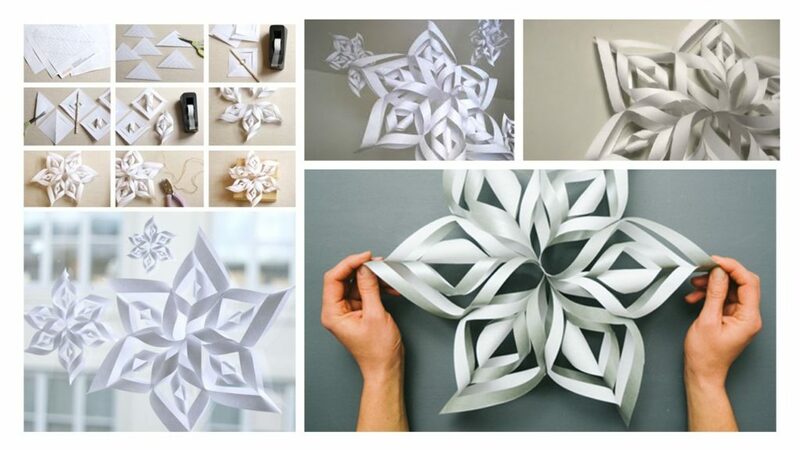 Why not try these DIY simple 3D paper snowflakes? We even made them in our own office which were a big hit. Might make a fun family activity. 1. Fold a square piece of paper in half diagonally, then again into a quarter. Cut three straight lines into the folded piece of paper. (The space between each cut and how many cuts you need will depend on the size of your star). Open the piece of paper and cut in half, this will become your cutting template. Fold another square piece of paper in half diagonally and place your cutting template over the top of this. Cut along the cut lines. Open the square piece of paper you have just cut and flatten. Take the inner triangle cuts and bind the ends together with glue or a stapler. Take the next triangle cut and fix those ends together but this time in the opposite direction.6. Repeat this process until all ends have been fixed together to create the first point of your star. Repeat this process with the remaining 5 pieces of paper, creating 6 points to your star. Take 3 of your completed points and stick the top of the points together creating a semi-circle. Make sure that the star points are glued together facing the same direction. Repeat step 8 for the remaining 3 points of your star and staple both half’s together to secure. Your paper star is now complete! Suspend from your ceiling with a pushpin and a strand of fishing line. 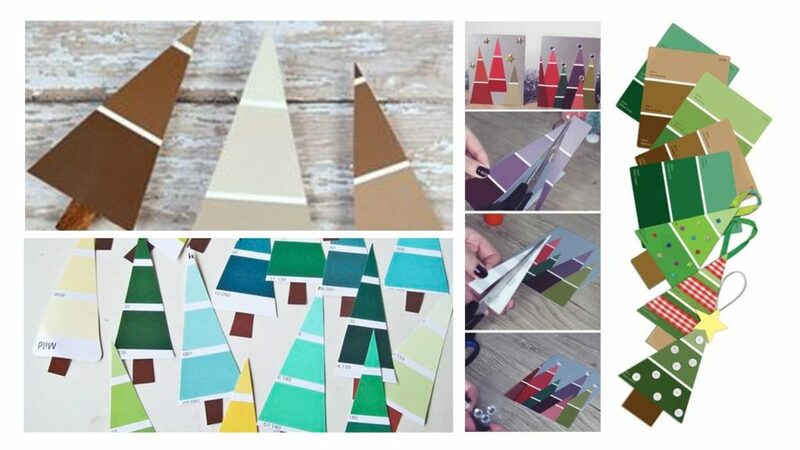 Add some variety by using different scales for a more dynamic look or for a more festive look, choose a coloured paper such as red, green or a frosty blue.6) Paint Swatch Christmas Trees:If you’re like most designers you should have a bunch of these lying around the house or office. If not, pop down to your local Paint or Hardware store for some colour charts. This is where you can have fun looking for some gradients or colour combos that speak to your Christmas spirit. Once you have made your choices, cut these into Christmas tree shapes and using a glue stick apply them to cards or even a wintery backdrop. You can complete the look by accessorizing your trees with paper ornaments and sticky stars. They also make great gift tags. Just don’t forget some brown swatches for trunks! This one requires a strong hand and skills with a blade. Depending on your belief of skill level you can choose from a group of materials but cardstock, balsa wood or even a thin veneer sample will do wonders for these Scandinavian/rustic ornaments. 1. Begin by making a Christmas tree template out of paper. 2. 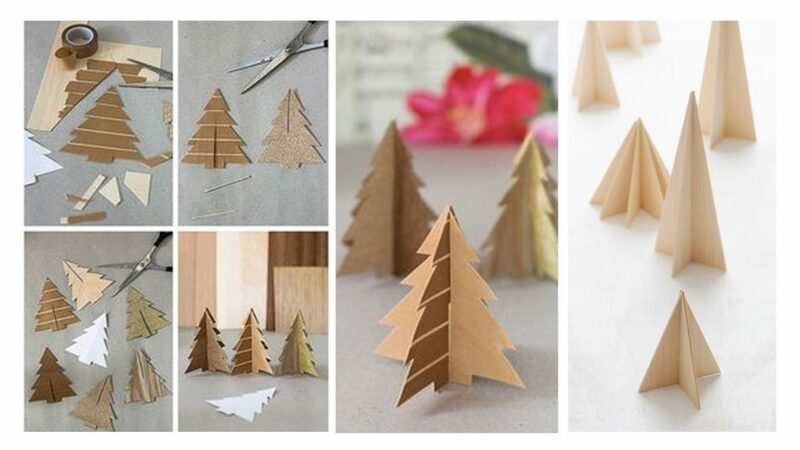 Using this paper as your template, cut two Christmas tree shapes out of your material (balsa wood, veneer, cardstock). You have the option here to lay strips of craft paper tape across your tree to give it a snowy look, or using a glue stick coat your tree in glitter. 3. Cut a thin notch through the bottom of one tree (A) and through the top line of the other tree (B). Make sure these notches match each other in length. 4. Insert tree A into tree B and voila – your tree is complete! Secure the pieces together with a glue gun or accessorize with a string to the top for a hanging ornament. No Time? No problem – merely display on your mantle as a small wooden forest. You can do this with any shape you wish, such as a minimal triangle to save time or any traditional Christmas shape (snowman, stars, angels) it’s up to you! Restoration hardware has a great choice of coloured lights, starry and globe LED versions that you can add into simple or frosted vase. Try an assortment of vases with these lights which are sure to add a little Christmas magic to any space. Place them on end tables, lower ones on coffee tables, or a variety across your mantle. If you’re like most designers you should have a bunch of these lying around the house or office. If not, pop down to your local Paint or Hardware store for some colour charts. This is where you can have fun looking for some gradients or colour combos that speak to your Christmas spirit. Once you have made your choices, cut these into Christmas tree shapes and using a glue stick apply them to cards or even a wintery backdrop. You can complete the look by accessorizing your trees with paper ornaments and sticky stars. They also make great gift tags. Just don’t forget some brown swatches for trunks! In case you don’t have it in with Santa’s elves and are still scrambling for that perfect gift idea….. look no further. From all of us at Area3, we hope you’ll find one or two of these ideas helpful so you can spend a little less time shopping and a bit more time wrapping. We have rounded up 12 of the most difficult people to buy for and sourced original ideas from local stores like Walrus, MEC, Provide, Litchfield and many more to help you out this holiday season. 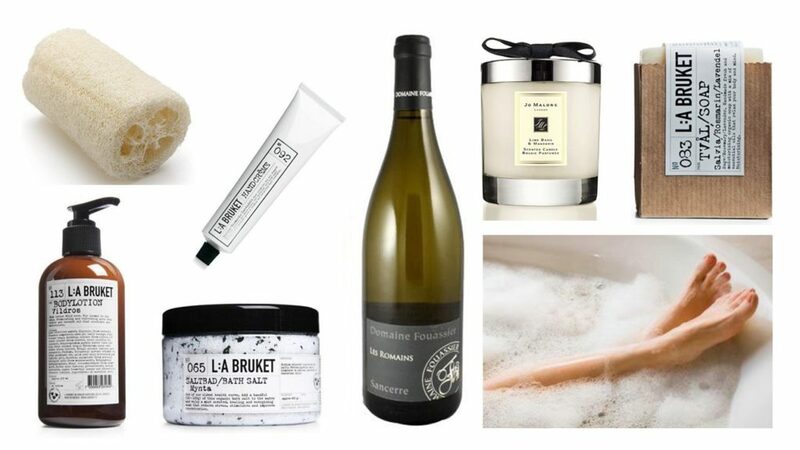 For her: Every women I know loves these things – beautiful toiletries, decadent candles and of course a nice bottle of wine. Best of all we can enjoy all three at the exact same time. So if all else fails we are confident you can’t go wrong with one of these options. Orling and Wu carries a line of bath and body products called L:A Bruket which come in various scents. How about the luxurious candles that last 45 hours (my personal favorite is Lime Basil and Mandarin) from Jo Malone? Best for last, drum roll………. the wine. Upon a recent trip to Europe I fell in love with the French Sancerre (unfortunately not as common or readily available here). Everything wine carries a few options like Domaine Foussier ‘Les Romains’ Sancerre Sauvingnon Blanc – this would be sure to put you on my “nice list”. For him: Who wants a standard gym bag? The Red Flag Duffle bag made of a neoprene rubber is not only durable, chemical and water resistant but pretty darn stylish too! Located on 5th Ave. in Vancouver wings + horns brings a sleek industrial space to life in both its production and retail home. Their cabin fleece available in three colors (back only for the holidays) is boxing inspired and sure to be a hit. Or how about a little pampering for him? 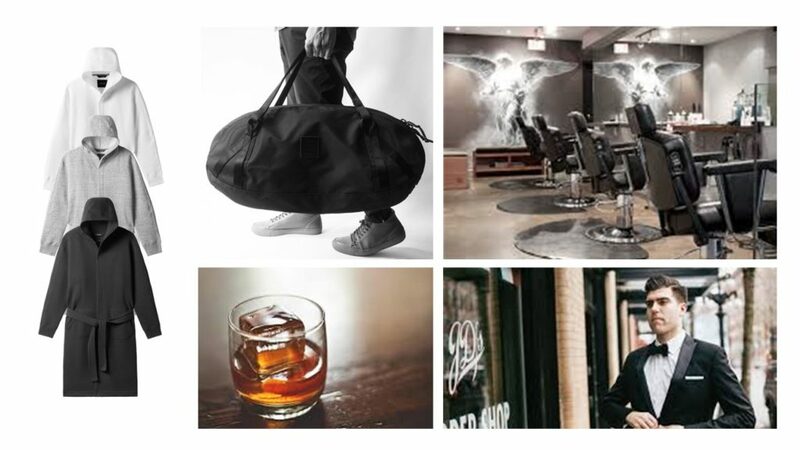 At JD’s Barbershop in Gastown along with a cut or shave, every client gets a single malt scotch as soon as they walk in. This was recently one of the top five barbershops by Vancitybuzz. For the techie: The Apple watch series 2 complete with built in GPS, water resistant up to 50 meters and with multiple bands and faces to choose from is sure to appeal to many on your Christmas list this year. 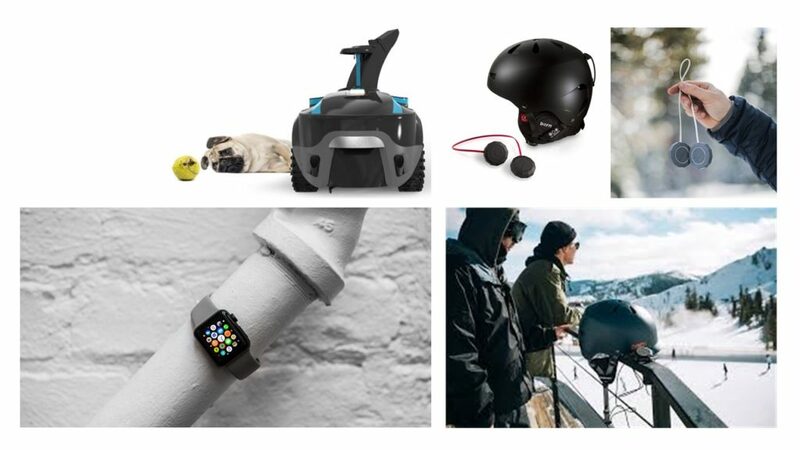 For the techie and outdoor enthusiast on your list how about the Chip 2.0 Bluetooth compatible in-helmet speakers with simple, glove-friendly controls for audio, phone, voice command and push to talk walkie-talkie functions. This last suggestions is a bit of a tease as it’s not available yet – but too cool not to share! The Kobi is one machine with three different functions: one to mow your lawn, one to remove leaves and one to blow away snow. Check out more on the website, watch the video and stay in the loop for the next release. For the child on your list: Osmo blocks and games are like Lego for coding. 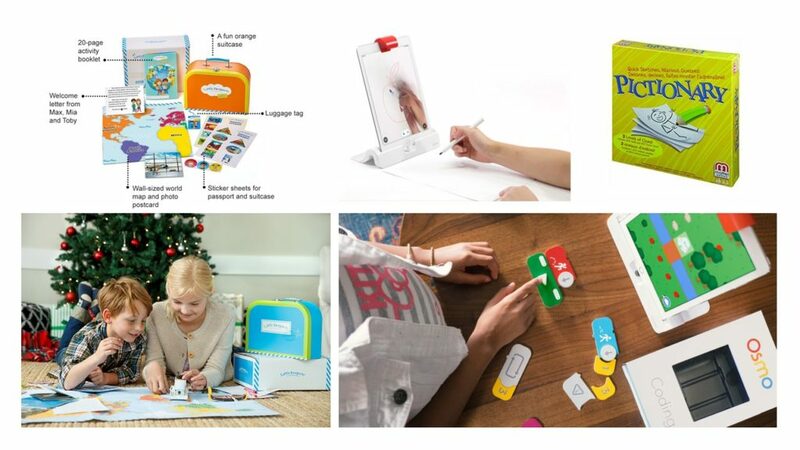 The iPad compatible game and magnetic pieces are designed to teach kids how to program. Little passports offer monthly subscriptions based on age and selection. How about the world explorer which is geared for ages 6-10. They get to discover a new country each month with souvenirs and hands on activities. The first month includes a blue suitcase along with world map, passport and online access to games and more. The classic draw-and-guess game Pictionary lets teenagers explore their drawing and sketching skills. For the chef: Want to cook the most tender and flavorful meat ever? Be sure to add the Sous Vide to the foodie on your gift list this year. Maybe you will even get a dinner invitation? 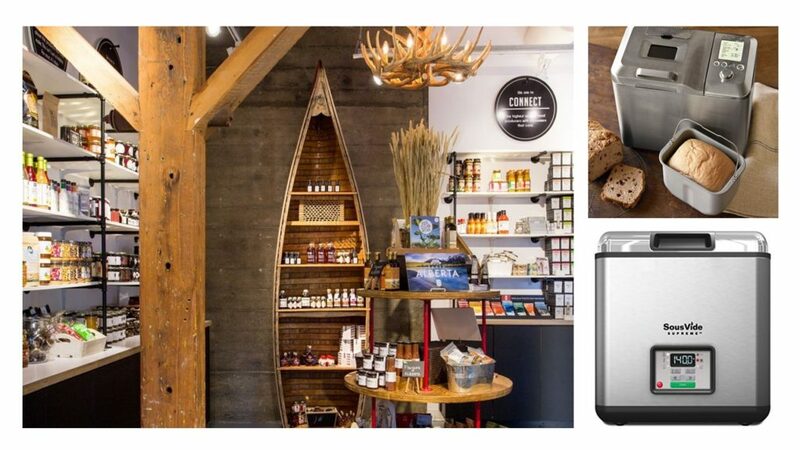 Edible Canada has a lot of great ideas like – original rubs, infused salts or gift baskets. Available at several locations you are sure to find something for the chef on your list. Getting back to basics, as we are much more consumed with what we are putting in our bodies these days; why not bake your own wholesome bread? Check out the Breville Custom loaf bread maker this model mixes dough for pizza, focaccia and pasta, as well as offers gluten free settings. For the sports fan: Tickets to the Blue Jays game vs the Mariners. 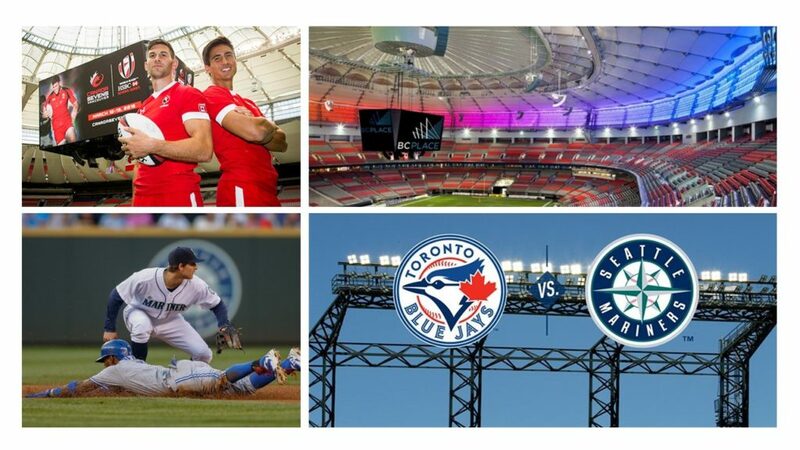 Take a trip down to Seattle and support Canada’s only baseball team. As the American League Division Champions two years in a row, the Toronto Blue Jays are sure to provide quality entertainment for your sports fan. The crowd and atmosphere in the station is electric. With 80% Blue Jays fans attending, everyone is thrilled to be there and cheer on Canada’s team. It’s an experience they won’t forget. The HSBC World Rugby Sevens Series is stopping in Vancouver again this year! Last year the Sevens made its debut in Vancouver to qualify for the 2016 Rio Olympics and proved to be quite the spectacle. The series includes 10 tournaments held around the world where teams compete for World Series points. Known for its action packed plays and fandom, this would be a unique opportunity for your sports fan. For the artist: Do you know a romantic? Poet? How about the Cinema Lightbox with interchangeable letters that allow you to show off your creative side. Calm and patient? Appreciate the subtlety of color? How about the Gradient Puzzle. For the one on your list who loves to sketch – up their game with the Wacom Intuous Tablet. 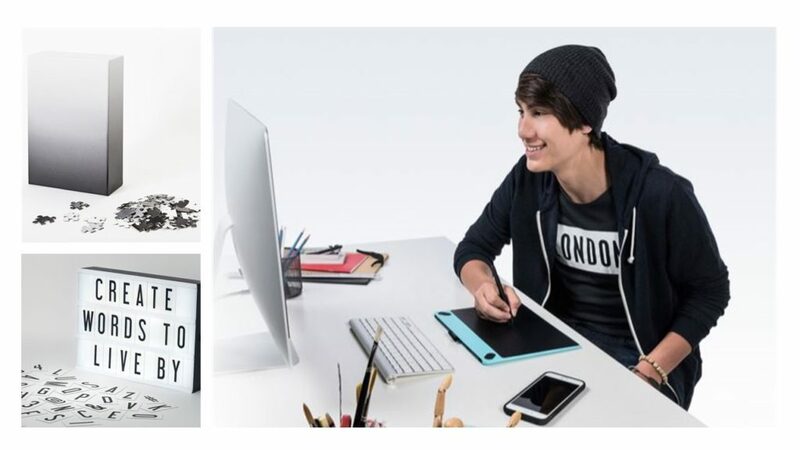 This sleek tablet gives you the chance to apply your hand directly to the computer. Choose from a wide array of artistic styles that are just as unique as the artist. Drawing, comic art, painting, photography and 3D character modelling are all included with free download and plug ins pack that comes with your Intuous.Bringing your creations to life is as easy as pie with free tutorials to get you started today. Have fun! For the health nut: Do you have that friend that’s all about Zen? 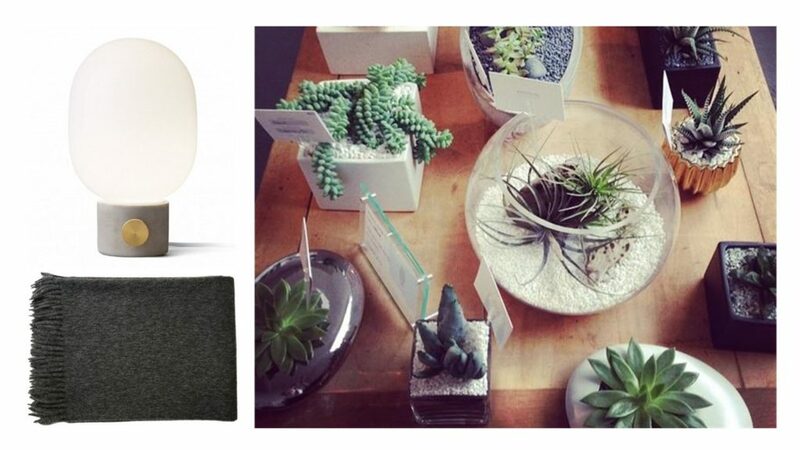 Why not look at this sleek, modern matte black or white aromatherapy diffuser. The benefits include reduce stress, anxiety, induce sleep and a lot more. Are you more about the experience? Then we highly recommend something like the float experience at The Float House which has many locations. Known to help you build focus, strength and expand your mind. 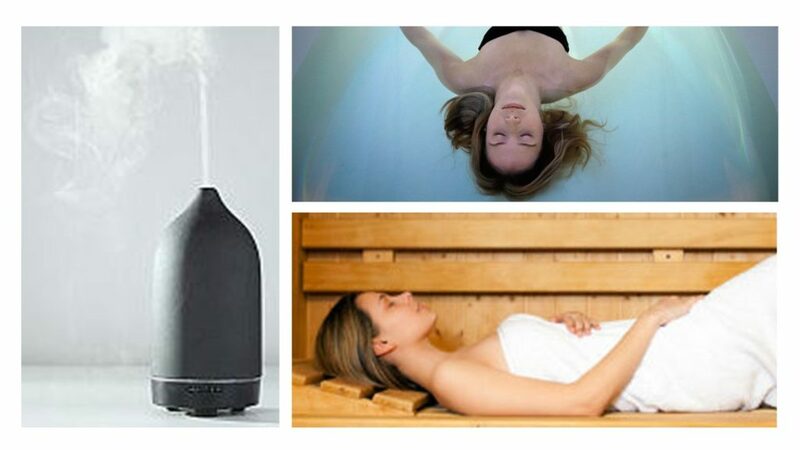 Once you’ve completed the float why not head into the infrared sauna (my personal favorite) available at Halsa. With benefits known to improve your physical health, burn calories and release toxins, best of all you will sleep like a baby afterwards. 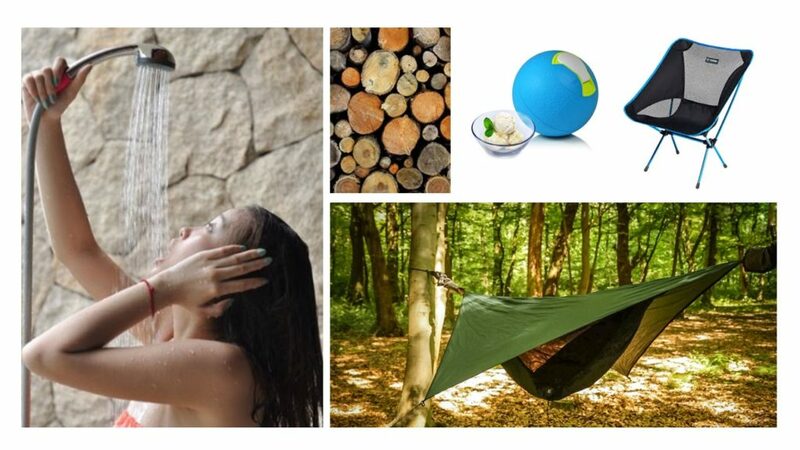 For the traveler: Perfect for the avid traveler. 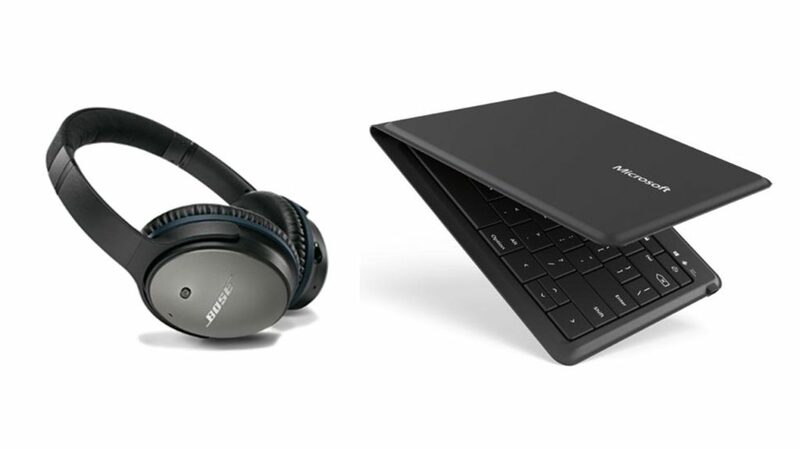 You can power through those emails or edit a presentation on the fly with the Microsoft folding keyboard which can be simultaneously paired to any two mobile devices – an IPad, IPhone, Android device, etc. For your next flight might we suggest the Bose QuietComfort® 25 headphones. Even air travel becomes enjoyable, as engine roar gently fades away. No matter how noisy the world is, it’s just you and your music—or simply peace and quiet! For the home: Honest simple materials make the Concrete Lamp a thing of beauty. It looks great on a desk, bookstand or end table. Perfect for any home. Need something cozy – the luxurious eco-friendly alpca wool throw is a must on any sofa, available in multiple colors (we happen to love the charcoal). Thinking of getting your hostess the tried and true Christmas poinsettia? Why not shake it up this year and get a beautiful succulent that lasts all year long? Kermodi creates a wide variety of sizes and styles. 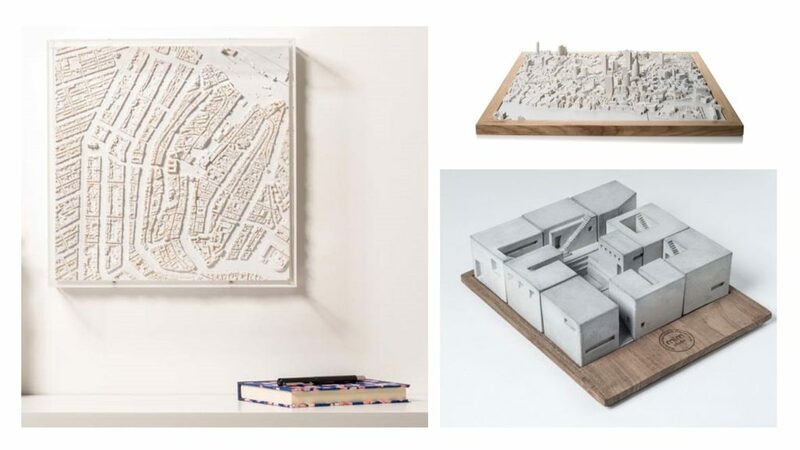 For the Architect/ Designer on your list: The Chisel and Mouse Architectural Plaster sculptures (designed and made in England) are available locally at Goodge Place. These scenes of beauty can be mounted vertically or placed on a table top – ensured to spark conversations. Change your scale with these miniature concrete houses and various other architectural elements from the Materiallmmaterial Etsy shop. Inspired by modern styles and displaying the raw beauty of concrete, these affordable minute architectural masterpieces are sure to captivate any 3d minded individual. Build your own community as you choose from a wide selection that can be integrated to form a united courtyard.